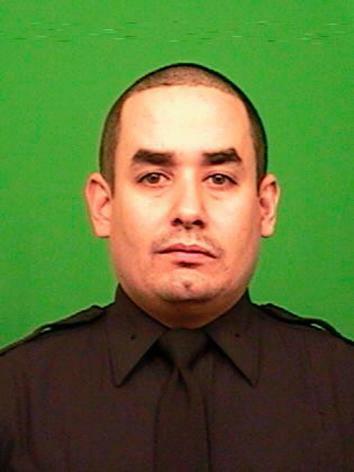 NY Police Union blames mayor, protesters for cop killings. 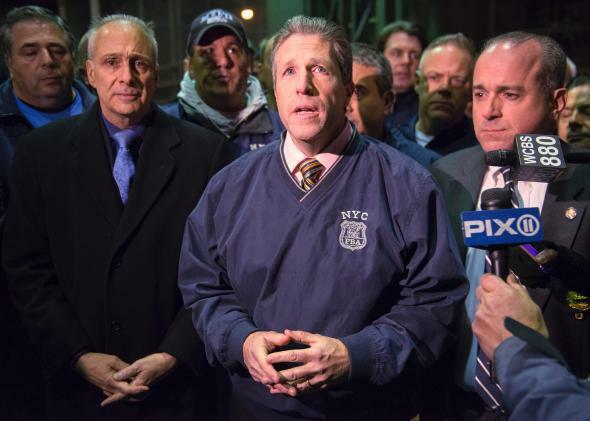 New York City Patrolmen’s Benevolent Association president Pat Lynch speaks to the media on Saturday. 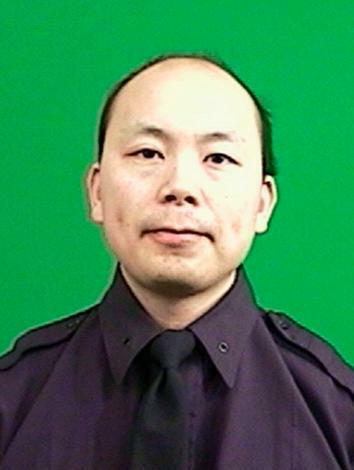 After two police officers were shot and killed in Brooklyn on Saturday afternoon, unions representing police officers did not hesitate to directly place blame on New York Mayor Bill de Blasio. One union extended the blame for the killings of Rafael Ramos and Wenjian Liu even further, saying protesters who had taken to the streets in recent weeks to demonstrate against police violence were also partly responsible. Patrick Lynch, the head of the Patrolmen’s Benevolent Association agreed with the sentiment: “That blood on the hands starts on the steps of City Hall in the office of the mayor.” He then said that “those who incited violence on the street under the guise of protest that tried to tear down what NYC police officers did every day” are also to blame for the killings. When he was asked about the reactions from the unions, the mayor’s press secretary said that it was “unfortunate that in a time of great tragedy, some would resort to irresponsible, overheated rhetoric that angers and divides people,” reports the New York Times.